One of the few landmark buildings in Palmers Green is in danger of being knocked down and lost for ever. The Intimate Theatre in Green Lanes (just past the junction of Green Lanes, Bourne Hill and Hedge Lane) has a rich theatrical history and many stars of stage and screen have appeared at the venue over the years. 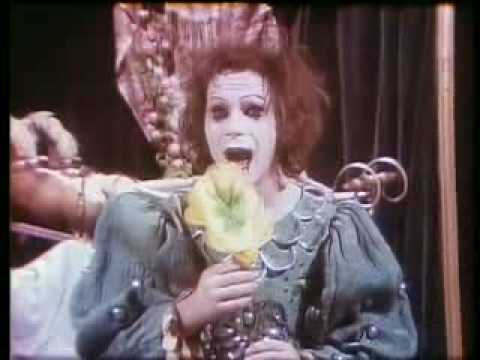 The rock star David Bowie even made an early career appearance there in 1968 when he featured in Lindsay Kemp’s company. It was built in 1931 as a church hall for St. Monica’s Roman Catholic Church but in 1935 it became the Intimate Theatre thanks to a talented 25 year old actor called John Clements who leased the building from the church authorities. Clements was already a well known stage and screen actor but he had a vision of running his own theatre as an old time actor/manager and thought the hall in Green Lanes was ideal for the task. The theatre opened its doors for the first time on Boxing Night 1935 with a production of the A.A. Milne play The Dover Road. Soon weekly rep (staging a different play every week of the year) was a reality in Palmers Green and Clements and his company of actors quickly acquired an excellent reputation throughout London. Clements stayed at the helm of the Intimate until 1941 and had a very illustrious stage and film career. He was knighted in 1968. 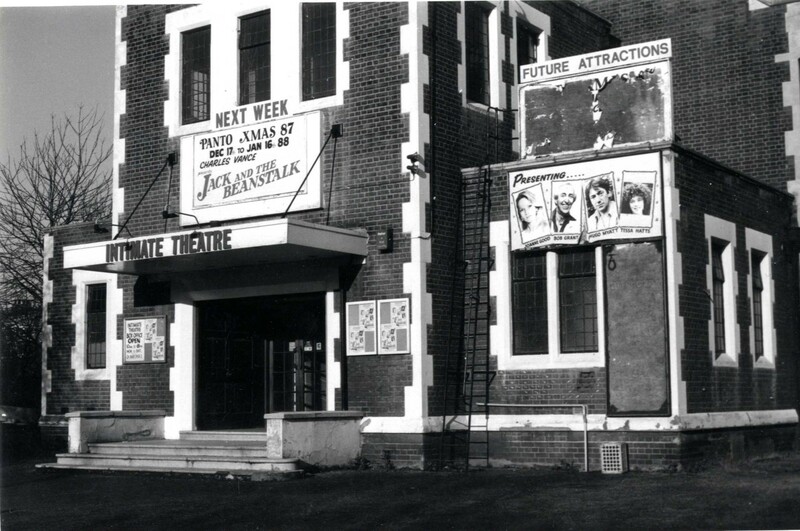 Over the next three years the television cameras returned to the Intimate on 13 more occasions and this Palmers Green venue became a pioneer in the live transmissions of complete dramas to a television audience and paved the way for other theatres to allow television cameras into their buildings. Over the years many famous names have played the Intimate. Richard Attenborough, later Lord Attenborough, made his professional stage debut in 1941 at Palmers Green. He was still a student at RADA when he was asked to play the role of a 15 year old boy in Eugene O’Neill’s drama Ah, Wilderness. Attenborough returned later that same year to appear in two further plays: Goodbye Mr Chips and Cottage To Let. The theatre had a very active Playgoers’ Society which held meetings on Sundays with speakers from the world of theatre including Fenella Fielding, Sybil Thorndike and, on one celebrated occasion, actor Jack Hawkins and Hollywood star Tyrone Power. By the mid-1960s things were getting tough for this little playhouse. Audiences were thin as the taste for weekly and fortnightly rep declined. In 1964 the Intimate was listed as the last remaining professional repertory theatre in the London area. It struggled on for a further 5 years but eventually ceased to be a full time professional theatre in 1969. However, help was at hand – in the shape of the many local drama and musical societies who were invited to stage their productions at this now empty theatre. Most of these groups staged two or more productions a year and most had their own sizeable audience base so the theatre was suddenly flourishing again with full houses at most performances. Professional entertainment was not forgotten either as the theatre still staged an annual pantomime, with such stars as Tony Blackburn, Shirley Anne Field, Linda Baron, Ruth Madoc, Jimmy Perry, Clive Dunn, John Noakes and Bill Owen; the occasional week of drama, and also programmed an extensive list of professional ‘one-nighter type’ concerts featuring artists as diverse as Frankie Howerd, Frankie Vaughan, Matt Monro, Hinge and Bracket, June Bronhill, Moira Anderson, Stephen Fry, Hugh Laurie, Emma Thompson, Tommy Trinder, The Wurzels, Acker Bilk, Kenny Ball and Jack Warner. But that wasn’t the end of the story for, after a few years, some theatrical activity resumed and several amateur groups returned to stage their productions at the venue. This theatrical activity, albeit very spasmodic, has continued to this day, but now the news is that St Monica’s Catholic Church wishes to demolish the building in order to build a new parish hall and flats. There is a very healthy backlash to this proposal and an online petition has been set up to try and save the theatre. Hopefully this important Palmers Green building can be saved – it certainly deserves to survive. 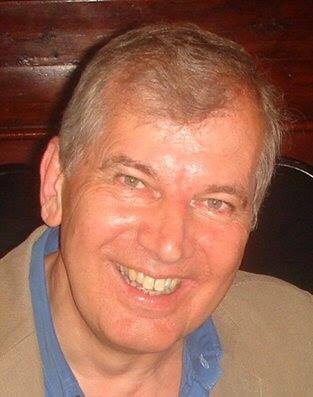 Geoff Bowden – author of Intimate Memories: The History Of The Intimate Theatre, Palmers Green. Some Pictures from inside the Theatre showing its original features.